Sionna is a 8 year old 16 hh dark bay Thoroughbred mare recently sold to a Young Rider in training with Stephie. She has experience competing at the Novice level with potential for more. 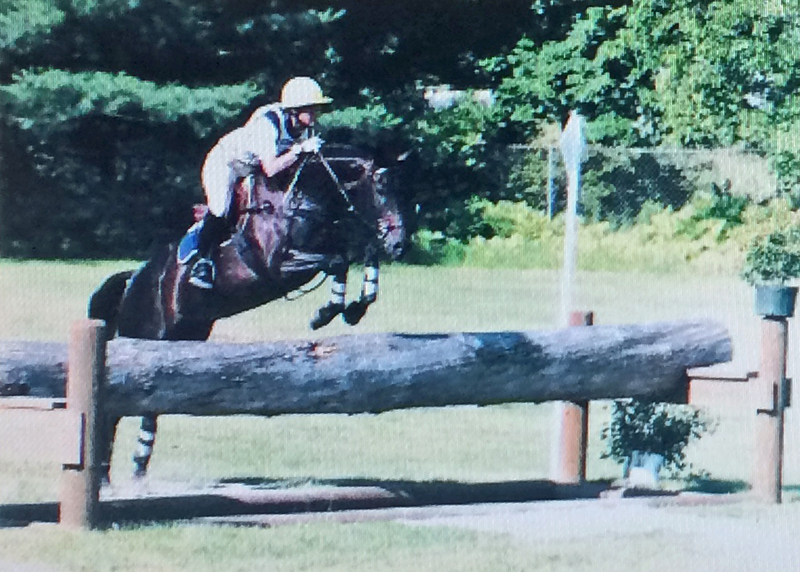 Sionna is a nice mover, loves XC and is a brave and safe jumper. Mercury is a 15.3 h bay TB mare. 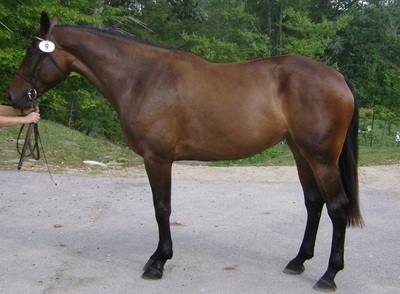 She is a very attractive mare who is a good mover and excellent jumper with lovely balance. She has competed successfully through the Intermediate level. 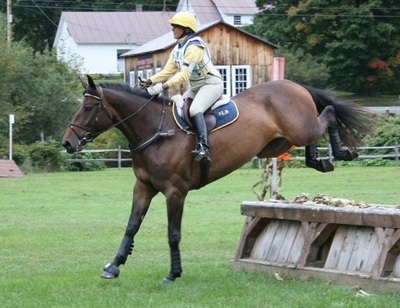 She was recently sold to an amateur rider who hopes to continue her competitive career with this lovely mare. 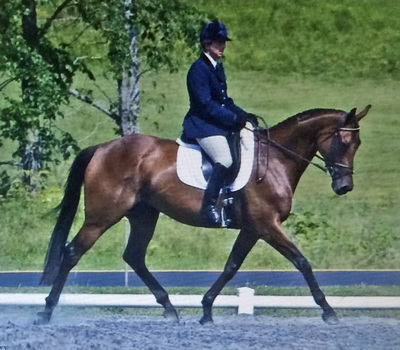 Abington is a 15.3 h bay homebred TB mare out of Stephie’s Advanced 3-Day event mare Prudential, by Macsen Sword. 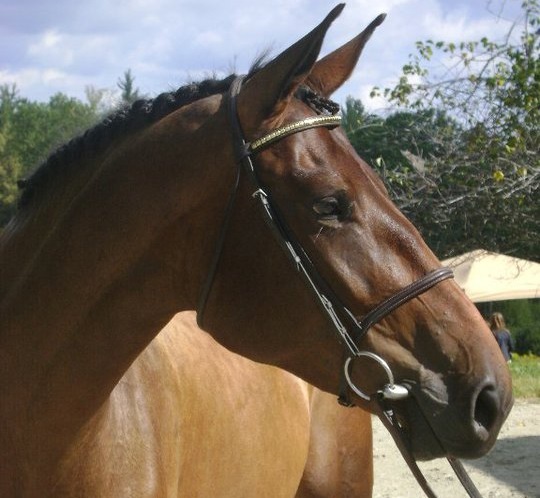 She is attractive, a good mover, uncomplicated on the flat, loves jumping and is very brave. She has her mother’s fine instincts and is great fun to jump. In her first year of competing at the Preliminary level, she finished 4th at both Groton House and Stoneleigh Burnham, 5th at King Oak and 7th at Millbrook. She competed successfully through the Intermediate level and was sold to a Young Rider. Abbett is a 16.2 h bay TB gelding. Abbett is a very honest and careful jumper, rarely touching a rail. He is a quick thinker and can get himself out of a tight spot. 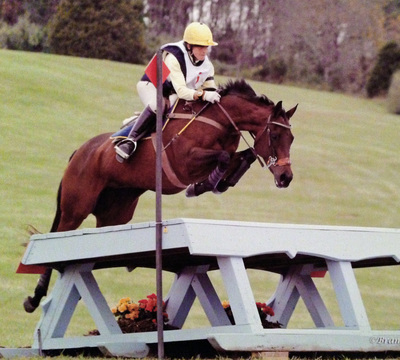 He goes in a snaffle for all three phases and has taken an amateur rider from the Novice level through Preliminary in one year. Abbett hacks out well alone or with company. He has an excellent work ethic and wants to please. Abbett was bred and trained by Stephie Baer and is out of her Advanced 3-Day event mare Prudential, by Macsen Sword. Scarlett is a 16.2 h dark bay Irish Sport Horse (ISH) mare. She is an excellent prospect with outstanding temperament and a brave and obedient personality. 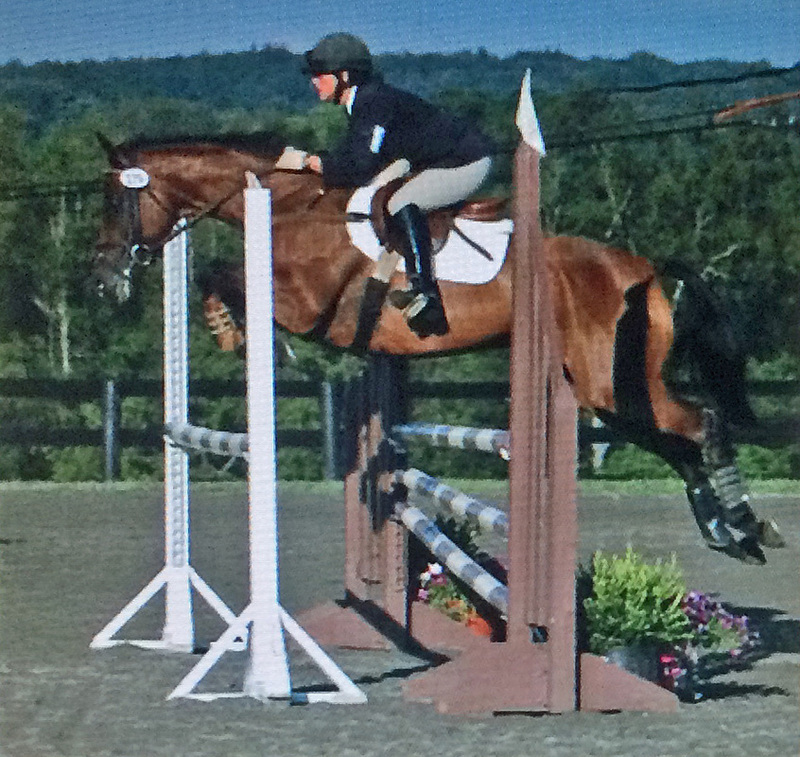 Scarlett is a good mover, an excellent jumper who loves cross country and quick learner. She is a promising mare who is truly a pleasure to work with. ​Scarlett is by Donnybrook’s Ellis Island, an ISH by Happy Ending (RID) out of Donnybrook’s Molly Maguire (ISH by Touch of the Blues – RID). 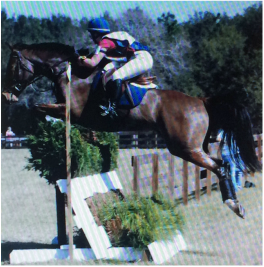 Placed 4th in the 2007 USEA Future Event Horse Yearling Fillies at Waredaca.